Inspired by the Pyramids of Giza, one of the seven Wonders of the Ancient World. 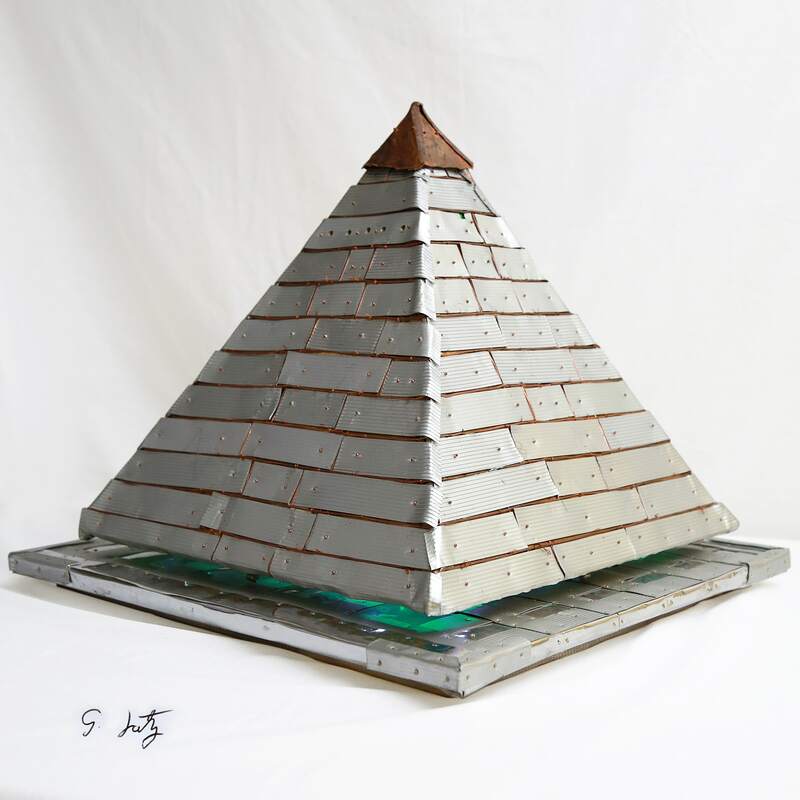 Light metal alloy strip plated onto a wooden pyramid base, copper top. Contains coloured lights changing in sequence.